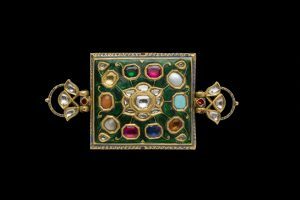 Susan Ollemans started trading in Oriental works of art in 1979, and now specialises in Mughal and antique gold Indian jewellery, as well as antique gold articles from China and Southeast Asia, and Chinese works of art. Indian jewellery is a particularly vibrant and interesting area as it plays such an important part in key rituals and ceremonies in Indian life. Exhibiting regularly at shows and fairs internationally, Susan Ollemans has worked with private collectors and museums around the world.